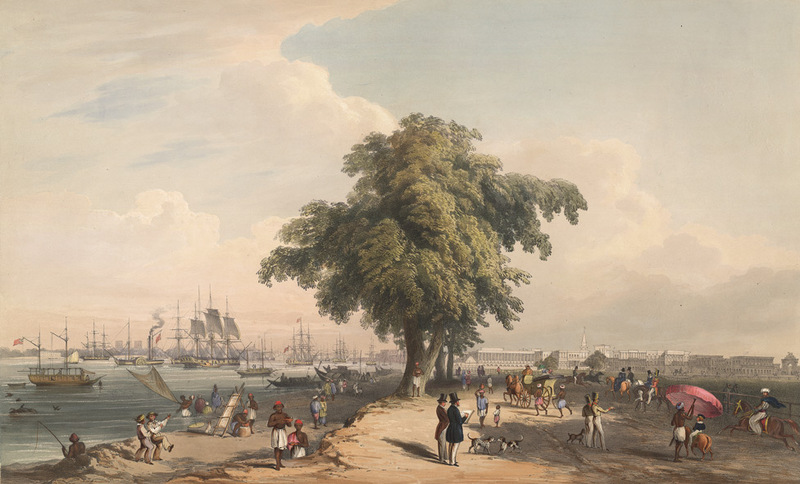 The tree in the centre conveniently divides the view into the Esplanade with its grand buildings, on the right, and the ships on the Hooghly river, on the left. The whole scene portrays the liveliness and prosperity of Calcutta at the time. A coloured lithograph by Sir Charles D’Oyly.